"Thank you Steve W. for all the work done in my apartment. I really appreciate it. Anai Monteiro"
"Thank you - they did a nice job. " Is Dave Amazing or What? "I just moved in and had a bunch of things that needed to be fixed. Dave was over within 1 hour. When he was gone Neil came right away too to give me a portable ac unit when it wasn't working. Then on Monday, Dave came to check the ac out, then came back today to fix everything on my list! He is awesome! Did a great job!" "Over the weekend, I had a problem with my bathtub faucet, which made it impossible to turn off my hot water after using the shower. I work nights and I had to leave fairly soon after the leak started. I definitely didn't want to have the water running all night long while I was gone, so I called the emergency maintenance number. Dave was on call, and he showed up at my apartment door in less than 15 minutes. He quickly figured out what the issue was and had it fixed well within my short time frame before I had to go to work that evening. He did a great job. Two thumbs up! Thanks!" "Our bathroom sink drain came apart quite suddenly; also the bathroom sink hot water valve had become very difficult to turn. Repairs were made rapidly and very effectively. Dave and Steve cleaned up the area very neatly after completing the job. They installed a new faucet. with which both Kathy and John are delighted. Thank you for a job well done!" Kitchen Remodeling Job Well Done...Thanks Casie! "I just wanted to say that I am very happy with the kitchen cabinet installation that was completed yesterday. It all comes down to the details and I have to say, Casie did a fantastic job in managing this project! It did not start out well (before she intervened), but shortly after she looked into it, we were headed to "Resolution Street"...She is a rising star within McKinley's Staff. Also, I appreciate Jessie's level of professionalism, thanks a lot! " Spruce Knob, a quaint apartment community located in Ann Arbor, MI. These impeccable one and two bedrooms include galley style kitchen, patio/balcony, reach in closet with built in shelving and intercom entry. 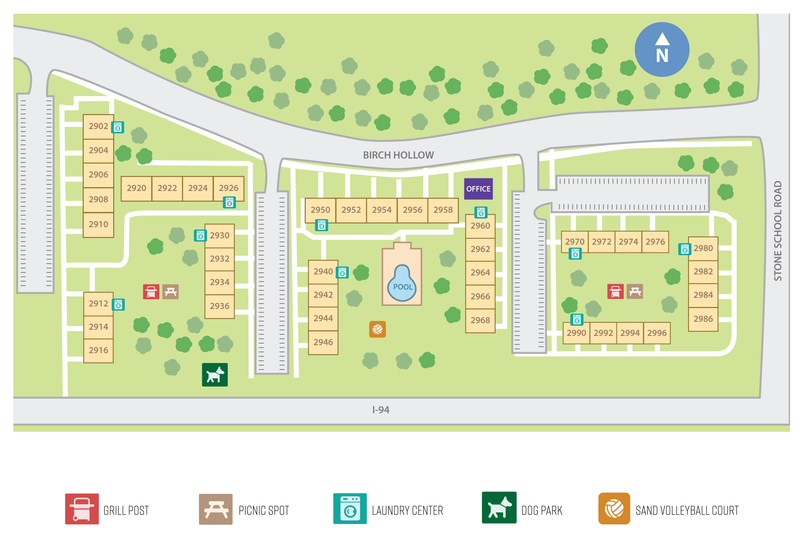 Our charming wooded courtyard community is pet friendly and features a dog park, sand volleyball, swimming pool and free open parking. Just off Eisenhower Parkway on Stone School Road we are less than a five-minute drive to Briarwood Mall & Buhr Park and the surrounding shops and dining.